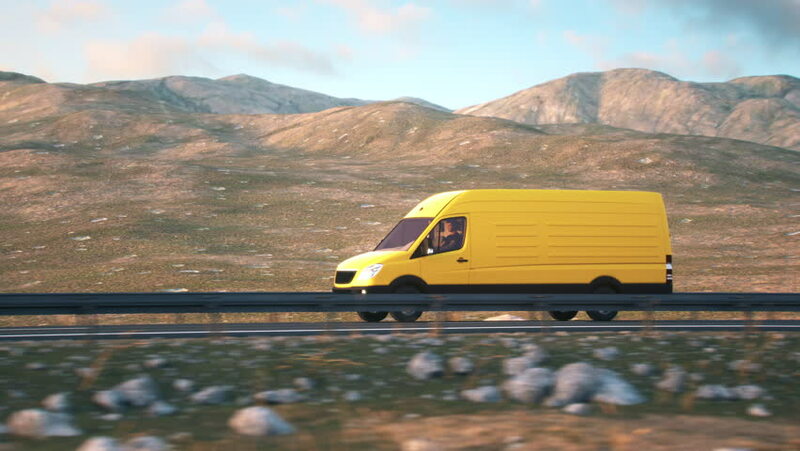 Side-view camera follows a yellow delivery van driving along a desert highway into the sunset. Realistic high quality 3d animation. 4k00:28Vehicles travel along a beautiful mountain pass. hd00:09Wide shot of Off road vehicle with beautiful pink desert sunrise sunset in Death Valley, California.